ATTENTION: Department of Energy Environmental Impact Statement Public Scoping Meeting on Northern Pass Transmission Line Project. ATTENTION: Land Owners - is your land in jeopardy? Take a stand with us & read over the following documents for help. for all residents of New Hampshire. Let's form a united front against this common threat and protect our lands for future generations to come. to The Power Line Education Fund and help educate the community about the harms of high voltage power lines and help protect our lands for the future. New Hampshire’s total energy consumption and per capita energy consumption are among the lowest in the Nation. The Northern Pass project: A New Boa Constrictor in the White Mountains? written by Rebecca Weeks Sherrill More, a descendent of John Wingate Weeks, a man who was instrumental in legislation that established the National Parks. protect their land . . . Many conservation organizations in NH have now filed petitions to intervene in the Presidential Permit process.
" A Unique Opportunity in Time "
Like many nations around the world, the New England states have set aggressive goals for reducing carbon emissions as part of their climate change action plans through conservation and regionalized renewable green energy projects like hydro, wind, solar and biomass. One initiative that is uniquely devastating to advancing these goals in the electricity sector is The Northern Pass transmission project designed to import up to 1,200 megawatts of unnecessary electric power (from Hydro Québec’s, coal, nuclear, wind, hydro and oil fired facilities) from Canada into the lower New England power grid at two cents per Kilowatt Hour. This massive transmission power line project will cut the State of NH in half, including the White Mountains, with a huge high voltage electric corridor, one that will far surpass any existing corridor in NH to date, with monster towers in excess of 135 feet in height. 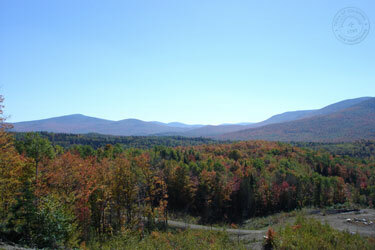 Two years into the planning and permitting stages gives Northeast Utilities a unique opportunity in time to acquire over 140 miles of new Right-Of-Way(s) through populated, rural regions of NH, some by Eminent Domain, before the host communities have a chance to consider the potential health, environmental and economic impacts. The Northern Pass / Hydro Québec High Voltage Direct Current Power Line project offers a means to significantly cripple New England’s energy diversity; it will increase the Nations dependency on foreign power and devastate Northern NH’s economy, which is primarily tourism based. This Hydro Québec power line will deliver a supply of electricity at a price that will eliminate any competition and any proposed New England based green energy projects — for decades to come. This is what the North Country of New Hampshire looks like. This is what the North Country of New Hampshire could look like. There is no need for this electricity in NH in the first place. We produce more than we consume and export the excess power. All this power is headed to Massachusetts and Connecticut. There is no need to destroy NH’s landscape and our economy to benefit some corporate giants: Hydro Quebec, NSTAR and Northeast Utilities. There is already other new Canadian Corridors in the works for Western Vermont and Maine with all the HVDC power headed to points South. There is no need for another one in NH. 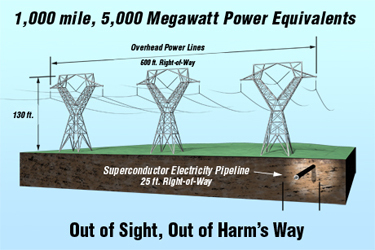 One of these corridors, the Champlain-Hudson Power Express project, proposed by Toronto-based Transmission Developers Inc., has proposed a $3.8 billion power line running 420 miles from Quebec to Connecticut under Lake Champlain, the Hudson River and Long Island Sound. Here is a PDF chart showing NH population, Energy Consumption, Energy Imports and Interstate Energy Flow over the last 50 years. 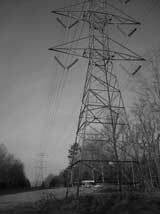 This a unique opportunity in time to force this utility company, Northern Pass LLC, to do something innovative, something that many other nations are doing, including our own, that is burying these HVDC power lines under ground and water. Burying the transmission lines via Superconductor Electricity Pipelines is a viable, secure and safe alternative that will meet less resistance and can be buried in or along side of the existing North East HVDC Corridor, that traverses the North East Kingdom and down to the proposed converter station in Franklin. 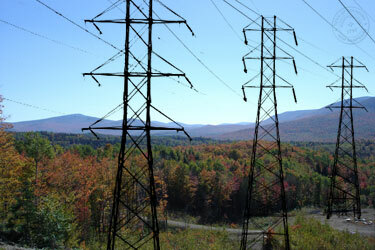 Instead of creating the visual eyesore and a potential health hazard through Coos County and through the White Mountains, that will have an adverse effect on our economy as the above ground transmission towers and lines will, an alternative solution is to bury the transmission lines through high capacity, high efficiency, secure power lines placed underground or water for the entire 140 miles of the project. Today, these are of comparable cost to above ground lines and have next to no loss of electric power over the length of the line, opposed to 12% to 25% loss of over-head, open-air, lines. 2) Investing in, and cultivating, local green energy sources. In May 2007, New Hampshire adopted a renewable portfolio standard that requires 25 percent of the State’s electricity to be generated from renewable sources by 2025.
Who's land is it? Learn more about the process invoked by NE Utilities/NStar to take peoples land. Is your Land in Jeopardy? High voltage power lines pose a serious health risk to any human living or working nearby. The ionization of particles near high voltage power lines can have serious affects on both humans and the environment. The impact of high voltage power lines on both the local and national economies will be extremely negative. · Destruction of Potential Logging and Farm Lands. · Drop in Tourism due to visual pollution and destruction of vital hunting, hiking and recreational land. · Increasing our dependency on foreign energy. · Keeping jobs outside the country instead of creating new jobs within. The towers pose a serious risk to local land and wildlife. · Destruction of local wildlife habitats and migration routes. High voltage power lines can discharge violently when sagging and over loaded.